Israel’s military occupation and confiscation of privately owned lands in the West Bank is extremely oppressive, with Palestinians having minimal basic rights of movement and speech to begin with. Thousands of Palestinian men, women, and children are held in Israeli prisons with physical abuse and torture as a accustomed routine. Palestinian borders are controlled by Israeli forces. Periodically men, women, and children are strip searched. women in labour are prevented from reaching hospitals (at times resulting in death), food and medicine are blocked from entering Gaza, producing an inevitable humanitarian crisis. Israeli forces invade , injure, detain minors, kidnap, and shoot if resistance is witnessed. Now, one would believe that the sole aim of the Israeli regime is to annihilate Palestinians (via the channels of ethnic cleansing) and build the country for Jews on the Palestinian land. This belief is crumbled into pieces once the economic-psychological duet analysis of the Israel –Palestine conflict is examined. Contrary to the popular belief that Israel wants to execute the Palestinians shatters down once the psychological understanding of the Israel-Palestine conflict is analysed. By the end of the article, you would understand the political psyche with which Israel operates. Throughout the article, I shall engage in the economic profitable strands of the conflict. How Palestinians sustains the economy of Israel? Why Israel needs the Israel-Palestine conflict to be sustained rather than be terminated at a mutual agreement? How is Israel-Palestine conflict too profitable to be resolved? Israel has the second-highest poverty rate within the Organization for Economic Cooperation and Development (OECD),while Mexico leading the list. More than 1.7 million people living in Israel (22 percent of the population) lives in poverty, the National Insurance Institute said in its annual report(2014). The report, based on data gathered by the Central Bureau of Statistics, found that in 2014 1,709,300 people, including 444,900 families and 776,500 children, lived below the poverty line, representing an increase over the year before. The percentage of families living in poverty rose from 18.6% in 2013 to 18.8% in 2014, while poverty among children increased from 30.8% in 2013 to 31% in 2014. Israel ranks fourth in child poverty in the developed world, a UNICEF report claims (2014). Child poverty in Israel has increased from 35.1 to 35.6 percent, placing it behind Greece (40.5 percent), Latvia (38.2 percent), and Spain (36.3 percent), which warned that “the longer these children remain trapped in the cycle of poverty, the harder it will be for them to escape.” Haaretz reported, while fourth in child poverty, Israel had the highest rate of young adults who are not in education, employment or training, with 30.7 percent. “Even when unemployment or inactivity decreases, that does not mean that young people are finding stable, reasonably paid jobs. The number of 15-to-24-year-olds in part-time work or who are underemployed has tripled on average in countries more exposed to the recession,” the report said. The economic crisis in Israel does not end here, rather begins with these figures. Boycott Divestment and Sanction( BDS) , a non-violent movement is gaining its strength around the world. This nonviolent movement for the justice in Israel/Palestine has grown more momentum than Israel could have imagined. Considering the figures, Israel’s concern over BDS is genuine. Israeli financial newspaper reported ,estimating that BDS could cost Israel’s economy $1.4billlion a year. The estimate included exports from the West Bank settlements (occupied territories) and with the EU’s decision to label the occupied territory products by the Israel ( not part of the BDS movement) , The Rand Corporation estimates that the loss could be more than three times higher: $47bn over 10 years. Israeli aerial and ground forces used white phosphorus bombs to pound several residential areas across the besieged Gaza Strip. Since 2000, Israel has had military operation lasting a few weeks every few years: Defensive Shield (in the West Bank) in 2002; the Second Lebanon War in 2006; Cast Lead in 2008-09; and Pillar of Defence in 2012, Protective Edge (2014). In almost every case, new military technology or weapons were used – which had a profitable effect on Israel weaponary manufacturing department. In 2002, weaponary exports were worth $2 billion which grew to $3.4 billion in 2006, and were $6 billion in 2012. In 2013, the three largest defence contractors all showed increases in sales: Elbit had annual revenues of $3 billion; IAI $2.65 billion; and Rafael $2 billion. Let me tell you the ground reality. The Palestinians have become a test and trial population who are being subjected to the testing of heinous weapons being produced by Israel. The psychological camouflage that is sustaining this laboratory testing on Palestinians is the “ existential threat card” being played by Israel. To protect their existence from a home made cheap rockets from Hamas, Israel is deploying its Iron Dome testing on Palestinians. The local defense industries provide jobs (directly and indirectly) for some 150,000 people in Israel. Haaretz reported that the ministry refuses to reveal the overall figures on Israeli arms exports, but some of the data was revealed last year, after a human-rights activist filed a suit(in 2013) . It transpired that $3.83 billion-worth of deals were signed in 2012 with Asian countries; $1.73 billion with European nations; $1.1 billion with Canada and the United States; $604 million with Latin America; and $107 million in Africa. Israel admitted to sales with only five countries – the United States, Spain, Britain, South Korea and Kenya – but Haaretz has found there were deals with at least 33 more countries, including many in the Third World. The Gaza Strip, West Bank and East Jerusalem are rich in oil, gas a shale oil resources, al-Haq claims in its 2015 report, Annexing Energy. If these resources were to be developed, Palestine would be economically self-sufficient and would be free from dependence on international community aids. A large concentration of natural gas was found off the Gaza shoreline. According to the estimation of the British Gas group, the natural reservoir of the Gaza shore is estimated at 1.5 trillion cubic meters, at a net worth of around $4 billion US dollars. British Gas group ,according to the agreement with the Palestinian authorities in 1999 were given the right to dig there and sell the gas .The British company had already set up two gas wells called Gaza Marine 1 and Gaza Marine 2. However, Israeli regime would intercept anything and everything that becomes the catalyst for economic growth for the Palestinians. Some believe that the various offensive operations that has lead to the massacred of Palestinians have nothing to do with self defence, but is actually all about the natural gas buried beneath the Palestinian land. Michel Chossudovsky, a Canadian economist, estimated that the amount of gas in Palestine is much more, adding that it could make the future Palestinian state as rich as Kuwait. He further stated, “… from a legal standpoint, the gas reserves belong to Palestine.” adding that “the death of Yasser Arafat, the election of the Hamas government and the ruin of the Palestinian National Authority have enabled Israel to establish de facto control over Gaza’s offshore gas reserves”. What is of utmost important here is the reflection of the most obvious agenda of crippling any catalyst that would initiate the economic growth of Palestinian. 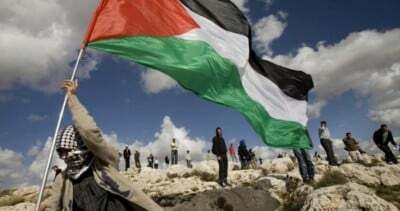 The existence of the Israel-Palestine conflict is a necessity for Israel to raise the profitable monetary bars, making the Palestinian population the test and trial experimental group, on whom the catastrophic weapons died are tested periodically(physically) and the implementation of apartheid system shatters the collective identity(psychologically ).